There are so many ways to support our efforts to create long-lasting social change in the Valley, New Hampshire, Vermont, and nationwide. Whether you spend 5 minutes a month advancing economic justice by becoming a "5 Minute Friend" or share your story for an hour with one of our Story Listeners or work monthly with one of our campaign teams tackling car-title lending or aging with dignity, you are one of the hundreds of people building a movement grassroots change grounded in common faith values. WOODSTOCK, N.H. — Border Patrol agents stopped cars at a checkpoint on Interstate 93 in Woodstock on Tuesday. A Vermont woman who was stopped invoked her right to not answer the agent's questions, so she had to wait longer for them to confirm her status. 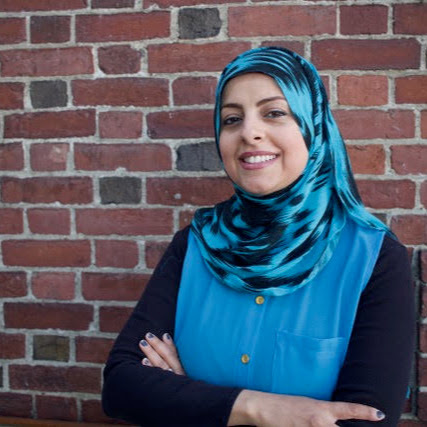 Asma Elhuni recorded the exchange in a video on her cellphone. “I have a legal right to remain silent about that question,” Elhuni said to the agent in the video. “I don't detect any foreign accent, so I’m assuming that you're a U.S. citizen, but I don't know yet,” the agent said. “So now the presumption is accents?” Elhuni asked. A few weeks ago, I paid my last $380 bill for treatment of breast cancer. In February 2014, a cancerous lump was found, and I was without insurance. During the three years prior, I could not afford to pay for insurance on a $10-an-hour wage. When I moved into a managerial position at $13.50 an hour, it was still impossible. Manchester — Nearly 200 people braved driving rain and high winds Sunday night to celebrate the formal launch of the New Hampshire Immigrant Solidarity Network during an event at St. Anne-St. Augustin Parish. The Upper Valley region of New Hampshire has one of the oldest populations in a state with one of the oldest populations in the country, according to U.S. Census figures. Rob Wendt said the group representing 15 religious groups in the Upper Valley spent three years talking to 400 seniors to hear their stories, see their needs and find ways to help. As part of its work, they are now offering a free toolkit and curriculum to help get seniors talking about self-advocacy, living and dying, and advanced care planning. Hanover — Members of more than a dozen Upper Valley faith groups gathered on Saturday to discuss ways to support immigrants threatened by the current political climate, an effort that could involve offering sanctuary from deportation to undocumented immigrants. Our name is important to us because it explains WHO WE ARE. UNITED VALLEY--When UVIP started, people from across the area began building relationships through 1:1 conversations. And through those conversations we quickly realized that the "Upper Valley" was not a term that included all communities. So we adopted a name that communicated our dedication to bringing people together across boundaries of all types, including town. INTERFAITH--All of our work serves to benefit the broader community, regardless of religious (non) affiliation, but the values that guide are work are values derived from our diverse faith traditions. Common values like honoring the dignity of every person and a deep belief in the possibility of change bind us together and drive our work forward. PROJECT--The word "project" is one commonly used in the world of community organizing. The word "project" in our name denotes that we are an organization committed to changing the world through the process and techniques of community organizing. We believe that when people come together with common values to build grassroots power we have the ability to create real, long-lasting change. We know real power is built by people power and people power is built through meaningful, values-based relationships. Our organization is made up of thousands people all working hard to live meaningfully. They are connected to our social change mission through our 15 faith and value-based member groups. Rod has been involved with what would later become UVIP since the very beginning in 2004. He served as UVIP’s first president, from 2009 to 2011 and again from 2013 to 2017, and has been Executive Director since 2017. He has been involved with virtually every campaign UVIP has ever conducted. These range from improving public transportation, to creating warming shelters for people who are homeless, to fighting predatory payday and car title lending practices, to fighting for a minimum wage, to aging with dignity, to the new immigrant justice campaign. Yegene joined UVIP in the summer of 2017 as communications intern. Currently, she is developing a special volunteer stories project to enhance the work of UVIP. As an undergraduate at Dartmouth College, she is double majoring in Government and Asian and Middle Eastern Studies. Yegene is also an editor for the campus newspaper, The Dartmouth and has been involved in the Rockefeller Center's leadership programs. Outside of campus, Yegene has been involved with North Koreans in America, an organization that seeks to improve the lives of North Korean defectors living in the U.S. During the summer of 2018, Yegene also worked with the nonprofit organization Lava Mae in San Francisco.